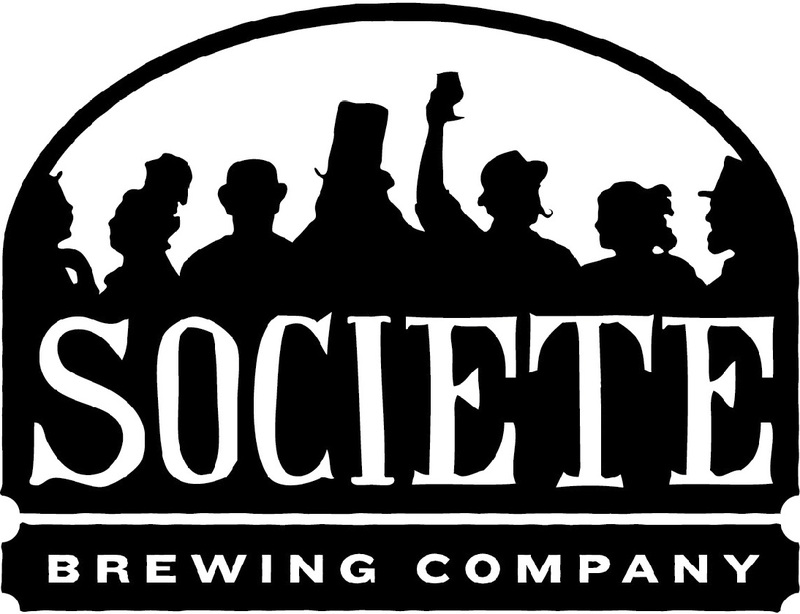 Last week, we hosted our eighth Waterfront Athena Event at Societe Brewing Company Tasting Room in San Diego’s Mira Mesa. We had our best turnout yet for another incredible presentation of talent from ten of our fleet Sailors and military civilians. 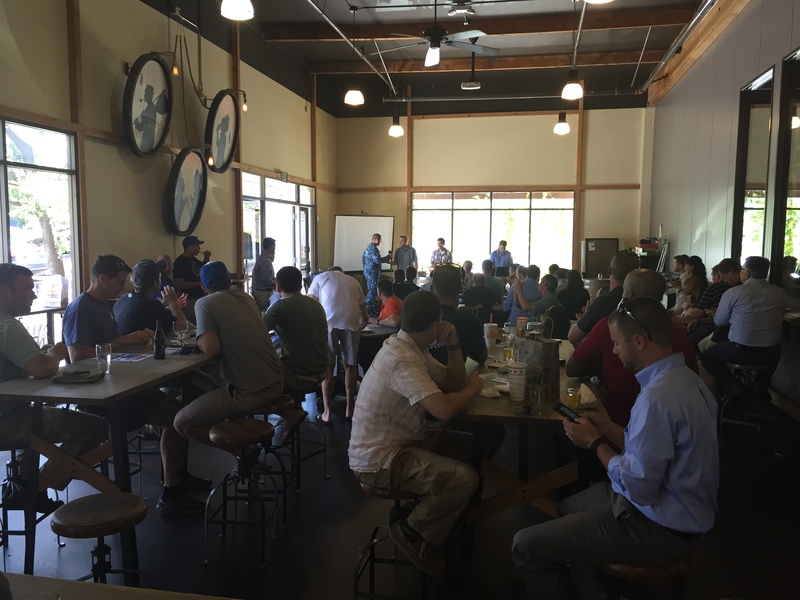 Nearly 100 innovators from Southern California and beyond packed the small brewery on Friday, August 28th, ready to hear some powerful ideas, directly from the deckplates. It was great to see a diverse community of thinkers from the fleet, with four separate communities within the Navy represented, not to mention our friends from the Marine Corps that drove in from Miramar. 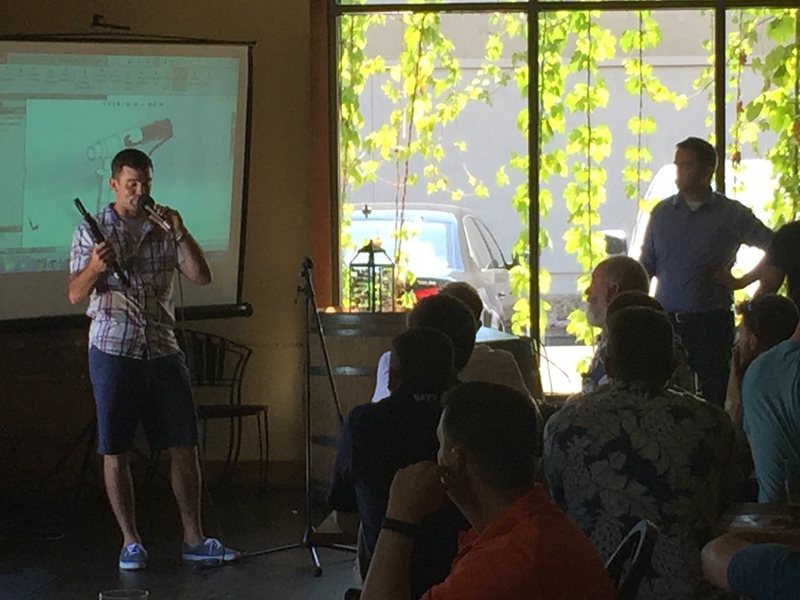 We were thrilled to see not only our old friends, including the team from SPAWAR Systems Center Pacific, but to have new Athenians join our growing network. 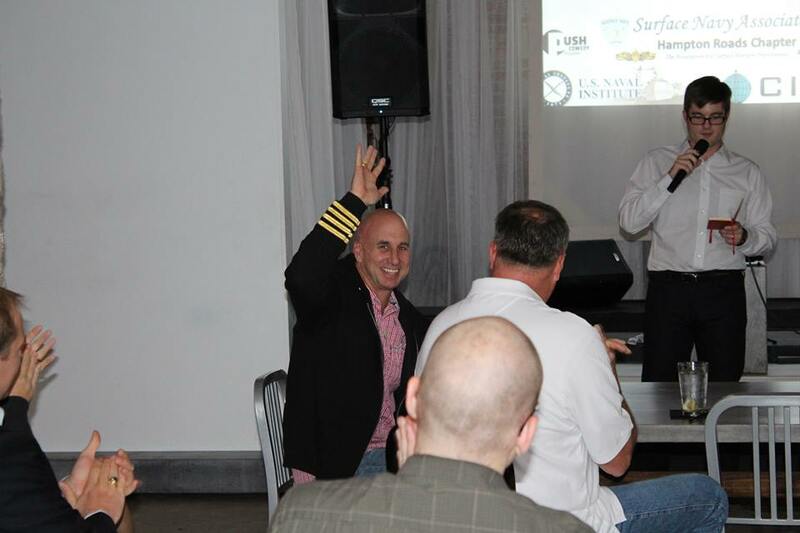 Representatives from Naval Sea Systems Command’s NSWC Corona division, Naval Air Systems Command and the City of San Diego Mayor’s Office were in attendance, along with many entrepreneurs, designers and technical experts from the San Diego region. It’s always incredibly humbling to stand shoulder to shoulder with so many enthusiastic Athenians and this event was no exception. To start things off we had a previous presenter, STG1 Butcher, talk about the development of his “Air Squeegee” idea that he presented at Waterfront Athena Seven. 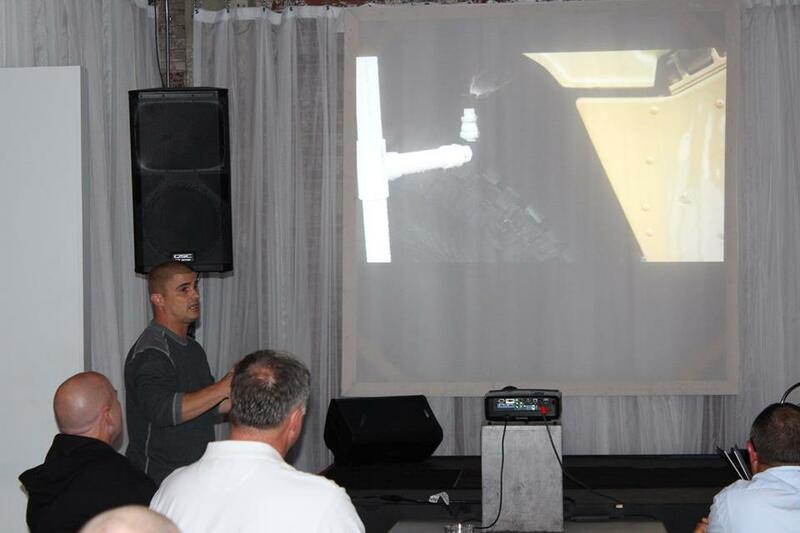 His concept, as well as fellow Athena Seven presenter BMSR Dorsey’s Rustbuster, were showcased by a team of SPAWAR engineers showing the 3D rendering of the ideas. It was powerful to see the progress these Sailors have been able to achieve in such a short period of time. This wasn’t the first time we’ve seen previous presenters giving updates at the onset of our event, but it was the first time we’ve had a prize for our Admiral Sims Award Winner! Our friends at San Diego’s MakerPlace were generous to donate a month-long membership and a free instructional class at their facility to the winner. At The Athena Project, we firmly believe that personal development education is a powerful prize to offer at these events and we’re looking forward to partnering up with more organizations in our various regions in the future to deliver excellent experiential prizes to our presenters! LTJG Tom Baker presents the future for BMSR Dorsey’s Rustbuster. Coming down from Monterey, CA to present their idea, this team presented a concept to not just save the fleet fuel but to help the Navy better understand its fuel consumption. The Fuel Usage Study Extended Demonstration (FUSED) is an Excel/VBA program to model the fuel consumption of the surface fleet and analyze the effects of different policy changes such as single generator operations on CGs and DDGs or allowing different amounts of time to complete transits. It is currently being used in two NPS research projects relating to transit speed recommendations to carrier strike groups and removing the four hour PIM window constraint, but is capable of much more and needs a way to gain traction among key decision makers. One of the best parts of his idea is it is ready for fleet use, so look for it at command near you in the near future. For the first time, we had our winners come from further than San Diego, which made their ability to exercise the donation from MakerPlace difficult. Graciously, the pair transferred their prize to the second place finisher, IT1 Anthony Freshour from USS MAKIN ISLAND. A class act by the team from Monterey! IT1 Freshour, frustrated by slowed bandwidth and “internet hours” onboard ships at sea, proposed a fresh way to circumvent the current systems to provide Sailors with a better service. 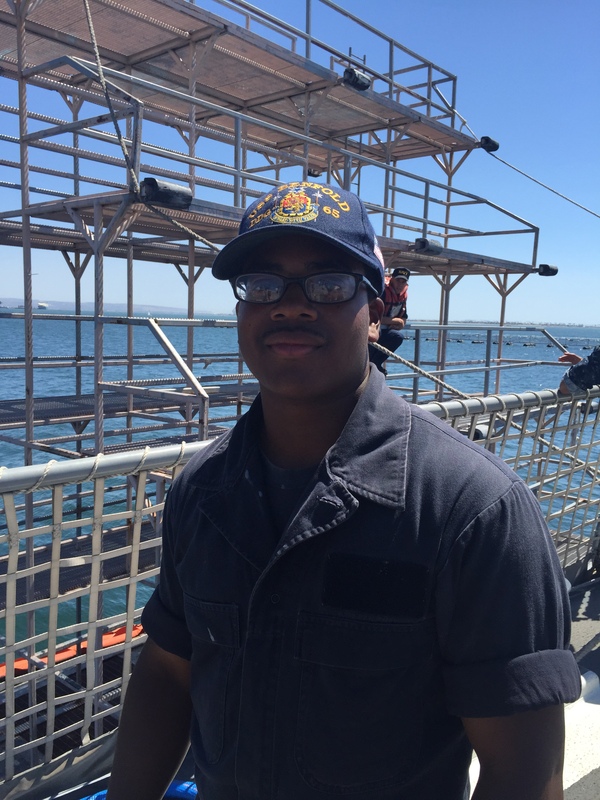 His idea is an MWR network for Sailors separate from the ship’s network to alleviate normal work traffic and allow Sailors better quality of life. This network be installed ahead of shipboard networks onboard a ship, and would allow Sailors to access social media websites and other public websites. In addition, Sailors could use this to pursue advanced educational opportunities via online courses. By segregating this traffic, the normal NIPRnet traffic could be used for official business and/or dedicate more bandwidth towards other networks. IT1 had some command support backing up his idea, with USS MAKIN ISLAND’s Commanding Officer, CAPT Jon Rodgers, and CSIO, LCDR Bobby Griffith, helping out during the Question and Answer session. With such a supportive command, we look forward to seeing a lot of movement from IT1 as he works toward his idea! Watching RHIBs being loaded on LCS 1 variants and thinking about a better way, ET1 Luke thought maybe there could be a solution resting dormant in some of the Navy’s current operations. ET1 Luke proposed that instead of a ramp area at the stern of the Freedom Class Littoral Combat Ships, a well deck would relieve some of the flooding concerns. In addition, this redesign would expedite onloads and offloads of critical components and provide relief for all LCS variants’ manning concerns. Man hours would be reduced and safety increased, which would lighten the load for such a small crew. There would be some challenge in the implementation of this idea as it would require significant modifications to the current hulls and redesign of future hulls. Despite the challenge, ET1 Luke is optimistic that this is a viable option for LCS platforms. Have you ever been in a foreign country and wished that the vendor you were speaking to had subtitles that you could read, to communicate more easily? When this idea struck DC2 Campbell, he was compelled to provide a military application. His immediate concept customers were our Special Forces and VBSS teams. This technology could help them to instantly translate foreign language conversations, delivering precious moments of advanced warning. Imagine a hearing device in your ear that has a microchip built within. This connects wirelessly to a transceiver box the size of a canteen pouch carried on the user which transmits language data to the hearing device. This box is what receives spoken language from an outside entity, translates into the desired language, and transmits the translation to the user’s earpiece. DC2 Campbell described how implementation of this device would not only reduce safety risks, but act as a stepping stone for building foreign relations. He even delivered the audience a imagine of the near future within the reach of national consumers where we can incorporate this technology with mobile phones! Thinking of his junior sailors, MN1 Hinton presented an idea reminiscent of other ride sharing such as Uber and Lyft. Looking at all the travel he does between bases in the completion of his duties, MN1 Hinton envisioned a ride sharing service similar to Uber in which service members or their family can share rides between facilities like Naval Medical Center San Diego at Balboa and 32nd Street Naval Base. This would help to alleviate parking issues at many of these facilities and reduce fuel consumption while at the same time helpful to those sailors and families without vehicles. Making this as a phone application would also help sailors after a night out on the town find a ride back to base, helping to reduce DUI violations among service members. In a thought provoking presentation, EODC Bernhardt proposed an idea to close/lease Fleet Anti-Submarine Warfare Training Center similar to Liberty Station in San Diego. With a specific focus on his unit, he discussed the lack of a single tenant command on base and how the units assigned can complete their missions more effectively (and at lower cost) elsewhere. Using charts and stickies, EODC talked through the time and cost inefficiencies imposed on his unit to complete his mission. For nearly all of his training they require travel from 1-2 hours to as long as 20+ hours north to complete training. Numerous contractors are required in excess of millions of dollars for training that can be completed at other locals using military assets. His proposal also discussed the money the Navy could potential gain by leasing the land to the city of San Diego, as it is prime downtown waterfront real estate and would surely be attractive to a number of developers. EODC Bernhardt uses some old school maps to describe his new school concept. For the burdensome logistical issues involved with many of his unit’s training missions, EODC Bernhardt proposed that his command be relocated to the nearby Marine Corps base in Camp Pendleton, California. He asserted that all of the challenges associated with travel time and logistical constraints could be solved because the facilities required for his unit’s training are all located on the installation. We’ll file this idea in the “This Makes Too Much Sense” department. Frustrated with the current manning systems used by his department within LCSRON ONE, Tracy looking at how Google Maps maps a route made him realized it really is no different than what he does now. Using a sailor’s qualifications, schedules, certifications, NEC, schools, etc. he develops a “map” to get the sailor to his billet at a specified time but it is a struggle. Currently we use several different systems, multiple excel spreadsheets, ASM, FLTMPS, share point, detailers, etc., that rely on numerous manual inputs from numerous human interfaces to find sailors then get them into a training program then hopefully get them to their crew at the right time. These numerous systems and personnel operate independently and have numerous sources of inputs leaving lots of room for error. In the LCS world, one NEC, class, or PQS could cause a ship to fail a certification. In his vision of this system, it would use data already accessible via ASM, FLTMPS, eNTRS, and others to identify sailors that would be a good fit for LCS and develop a training “map” to get the right sailor to right crew at the right time. He believes an algorithm with a better interface would save time, training, and reduce cost giving senior commanders and crews a clearer picture of manning. Oldnettle said that since LCS is already a large command and is only going to get bigger. LCSRON 2 is standing up and soon we will be adding the LCS Frigate. 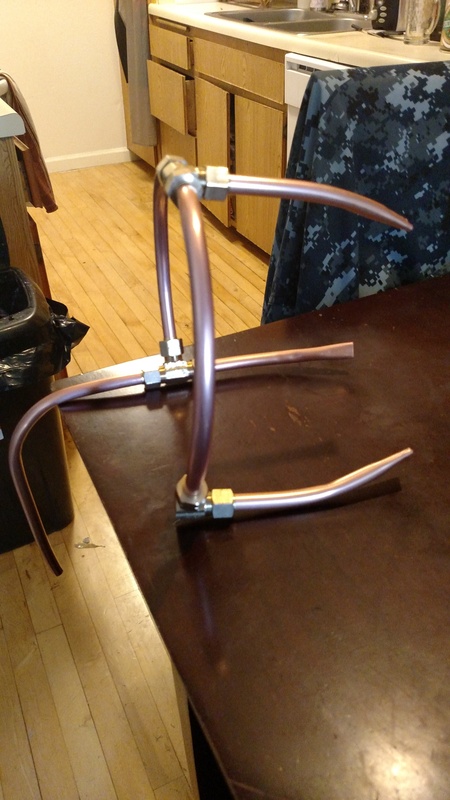 We will be all over the globe (San Diego, Mayport, Wisconsin, Alabama, Singapore, Bahrain) which would make creating a system now that is specific to the billet, crew, and ship an amazing time saver. LTJG Fischer’s concept to protect ships from being detected by submarines is an adaptation of technology you’re more likely to find in a Best Buy than a Naval Base. His basic premise it is to surround the hull of a ship or submarine with noise-cancelling tiles to protect against passive sonar. He proposed that the tiles could function similarly to noise canceling headphones and have an inner layer of microphones to listen for the internal sounds produced by the ship and have an outer layer of speakers to generate an inverse sound wave to cancel those sounds out. Performance could be improved by having multiple layers of tiles. Fischer said that a system to try to counter active sonar could be attempted by incorporating a series of whiskers with microphones embedded in them around the hull to hear an active sonar sound wave before it makes contact with the rest of the hull in time for hull mounted speakers to emit an inverse wave to cancel out the active sonar ping before it hits the ship, though there are significant challenges to implementation of this concept, he admitted. This concept is similar to an idea from Waterfront Athena Three but was described to counter active sonar only. While the road ahead for implementation of such an ambitious idea is long, Fischer seemed up to the challenge. A fantastic turnout for our Eighth Waterfront Athena in San Diego. In the first pitch from the Aviation community at our San Diego events, LT Lloyd Patterson came from Lemoore to pitch an idea to reform the Navy’s accountability systems. LT Patterson said that The Defense Readiness Reporting System does not accurately reflect Naval Aviation readiness because the binary nature of CBR “tasks” gives squadrons the same credit for attempting a particular task, and failing, as it does not attempting a task altogether. As a result, many squadrons and individuals disregard DRRS-N prerequisites or performance thresholds, and log the task as complete anyways. This filters up as an inflated sense of readiness, when only nominal training exists. His proposal is to overhaul how the Navy reports readiness. Periodicity, tasks, experience– they’re all signals for what we’re really trying to measure: performance. If a unit is ready for a particular mission, then the expectation is that a certain performance threshold should follow. He proposed that capturing raw performance would have powerful implications on the Navy, potentially providing significant savings. Conducting events with little to no real performance increase are less valuable than those events with tangible increases. Some tasks and missions may complement one another, and therefore do not require explicit training. A performance-based system could identify the most efficient pathway between a dollar spent (flight hour) and performance increases. It could also measure the consequences of not flying, or reduced funding, for significant periods of times. It could make predictions on how a particular air wing can expect to perform given a specific O-Plan. LT Patterson said that he would need to overhaul DRRS-N and SHARP and collect vast amounts of performance data, employing statisticians, programmers and aviators to find correlations. Though his idea will cost money in the short term, he proposed that money could be saved by more efficient training and could be offset by knowing the truth: how is Naval Aviation actually performing? 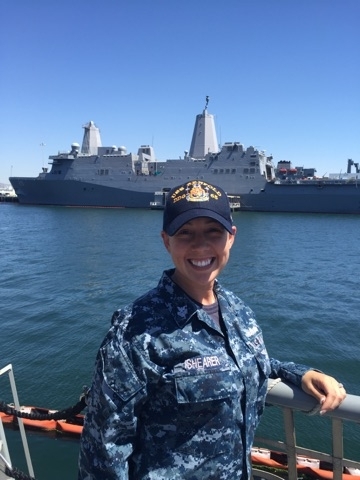 Reminiscent of an idea presented by STG2 Coronado during Waterfront Athena 7, LT Boyston presented an idea to address the issues of manning a phone and distance line for a Littoral Combat Ship. Underway replenishments (UNREP) for any ship is challenging event requiring all hands and this is only amplified by a crew with less than 60 personnel. The receiving ship would receive the P&D line and attach it to their ship. Using systems that already exist; a tensioned reel system would keep tension on the line while allowing it to pay in and out as necessary maintaining the tension. This would relieve the requirement of manning the line through an UNREP. This reduces stress on the crew decreasing the chance of a mistake in what is currently a rather dangerous evolution. With so many great concepts, surely the coming months will see multiple ideas, not just the event winners’, explored and implemented to make the Navy better. As the torch passes in San Diego, with USS BENFOLD homeport shifting to Japan, the future is as bright as the sun in Southern California for this regional chapter of The Athena Project to continue it’s tremendous growth. 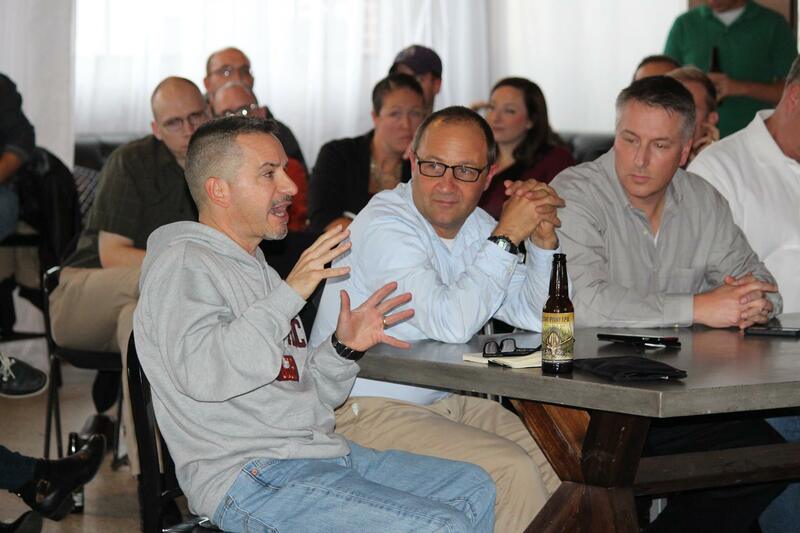 We received many late submissions of ideas that will make for great pitches at Waterfront Athena Nine this Fall. 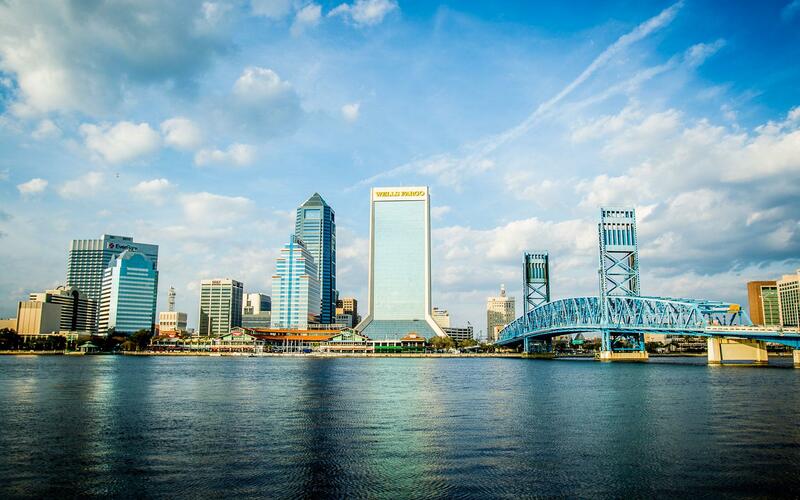 And, if you’re in Norfolk, Japan or Mayport stay tuned: We’ll have some excellent innovation events coming your way soon! If you want to get involved, as always, message us! 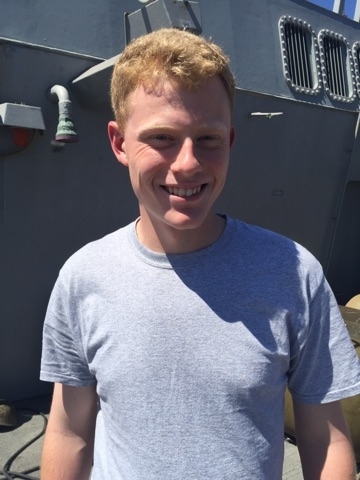 LTJG Tom Baker is the First Lieutenant onboard the Ballistic Missile Defense Guided Missile Destroyer, USS BENFOLD (DDG 65). 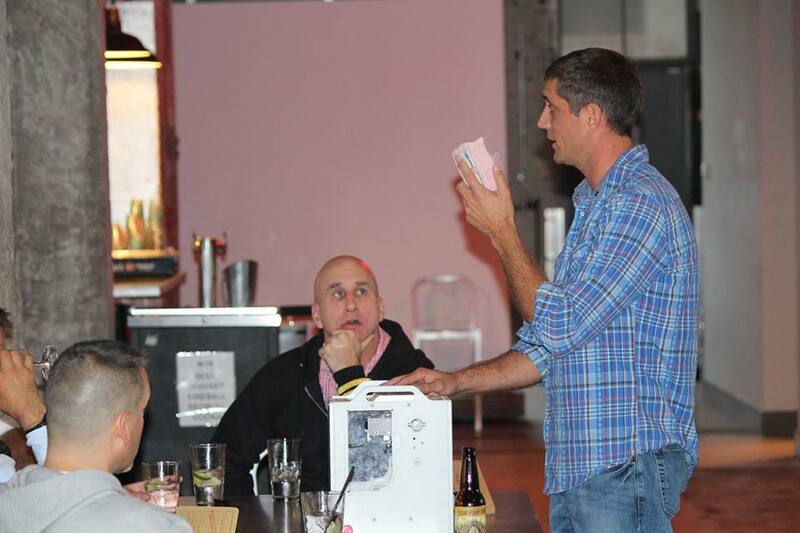 He is a graduate of Oregon State University in Entrepreneurship. We cross-posted this article a few weeks ago with our friends at CIMSEC.org. Recently, I’ve gotten quite a few questions on many of the projects presented, so I thought it would be appropriate to post this on our blog in an attempt to connect the dots of ideation across the fleet. 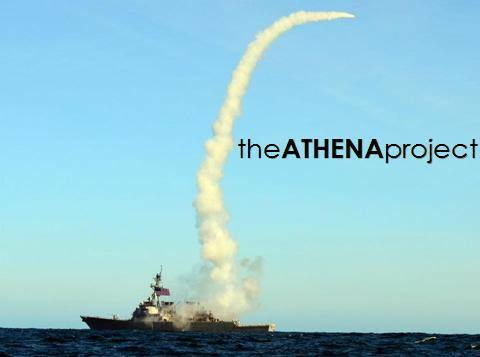 Message Athena on Facebook or Twitter at @AthenaNavy to learn more about any of our projects! 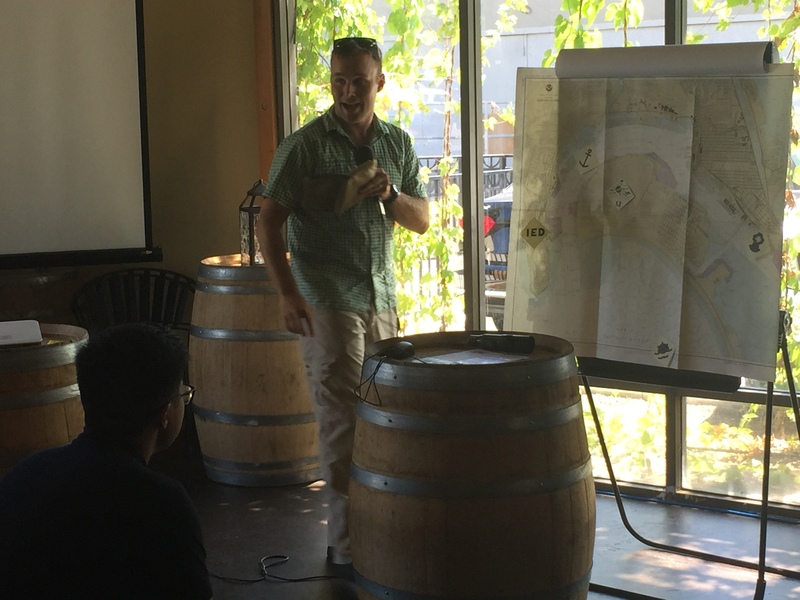 A month ago, a group of young innovators met in a brewery in Point Loma trying to change the U.S. Navy. 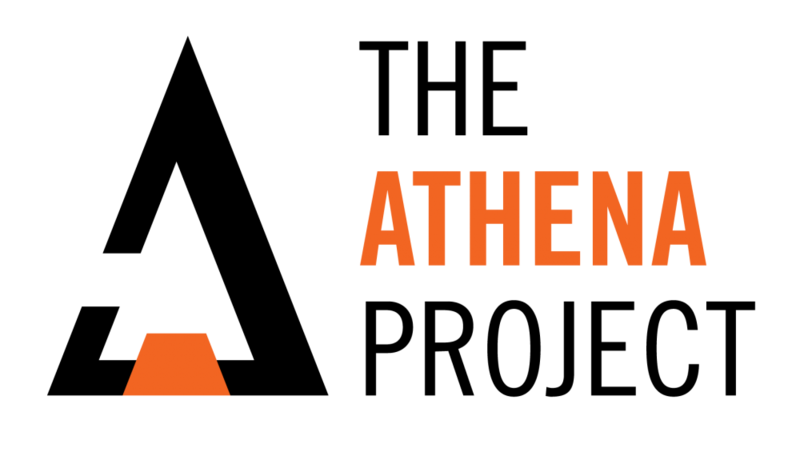 We hosted our third installment of The Athena Project at Modern Times Beer on October 25th and for the first time, we opened it up to the entire waterfront. Even though the presenters were predominantly from USS Benfold, the birthplace of Athena, a few change-makers from other commands presented ideas. About 15 different commands represented in the crowd, many coming from the Basic Division Officer Course (BDOC) here in San Diego. 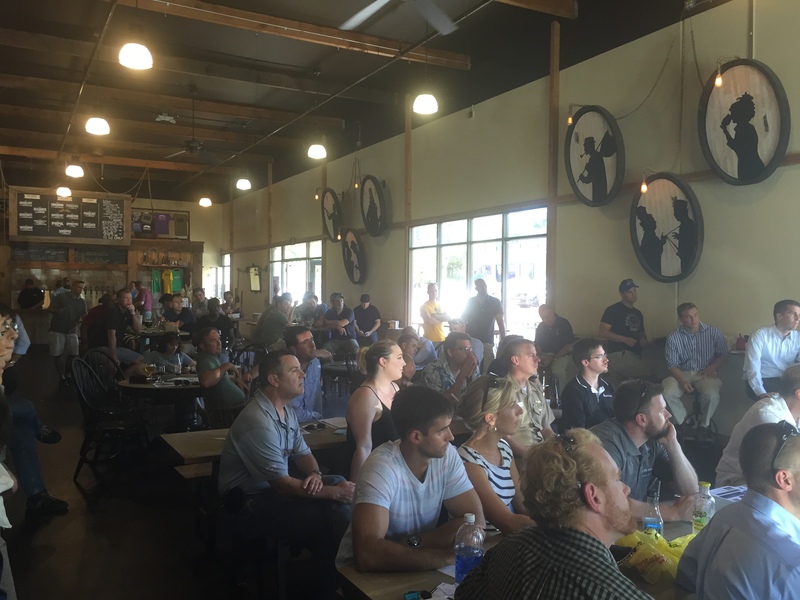 In addition to the Navy contingent, representatives from the University of Southern California (USC) Institute of Creative Technologies, SPAWAR, Disruptive Thinkers, and Harris Corporation were among the more than 70 in attendance. 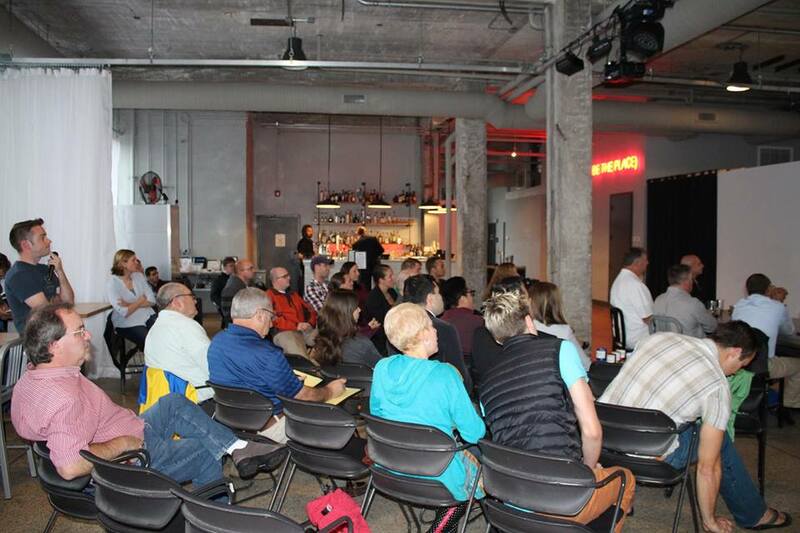 We had a phenomenal turnout – better than we expected. It feels like just the beginning, though. Before we get into the roundup of our last event, here’s a quick summary of how The Athena Project works. Presenters are given five minutes to pitch their projects to the crowd, who vote on each idea based on quality, actionability, and presentation. We’ve found that the short pitch time and lack of powerpoint forces each presenter to get to the heart of their idea quickly and to distill it down to the essential points. After every presentation, the floor is open for five minutes of questions and comments from the crowd. When all the projects have been presented, votes are tallied and the ADM Sims Award for Intellectual Courage is announced. The winning project gets to form a small functional team and receives command backing to make their idea happen over the next quarter. That, and of course bragging rights. 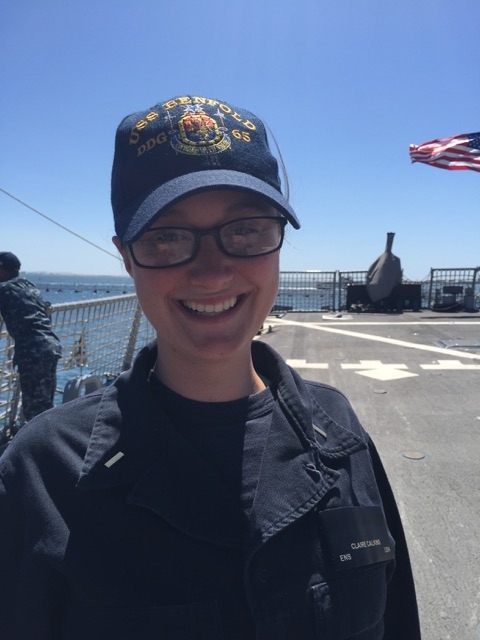 The foundation for LTJG O’Donnell’s idea was trying to help junior ensigns develop their leadership skill set. She proposed working hand-in-hand with the Human Systems Integration department at the Naval Postgraduate School in Monterey, CA, to generate a survey that could be given to an officer’s division to evaluate leadership traits. 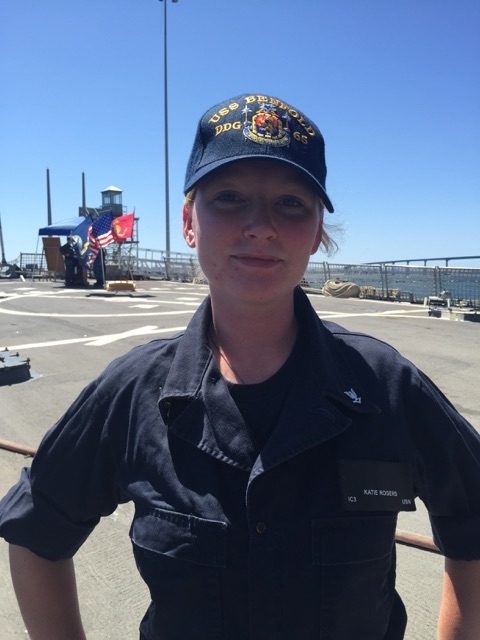 LTJG O’Donnell envisioned a breakdown similar to the Myers-Briggs Type Indicator to give young officers feedback and action items for strengthening traits. 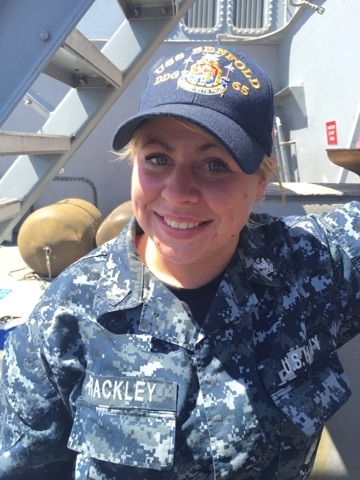 Petty Officer Johnson and her husband proposed utilizing cranks and netting in littorals to build a network of power generators that would double as a passive sonar system. She explained the technology, then offered multiple design-types leveraging materials currently in use. 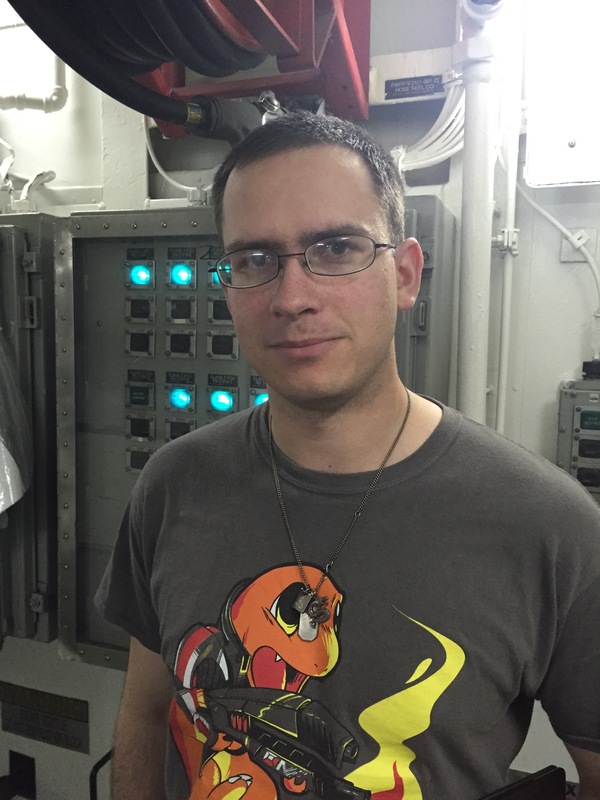 Citing a great deal of frustration in maintaining version control of current instructions and guidance, LTJG Eggleston proposed a sharepoint-like system in which naval personnel could share lessons learned, updated messages, and recent notices among other information. Feedback from the crowd suggested utilizing current channels such as Navy Knowledge Online to grow the database and function as a type of Navy Wiki. 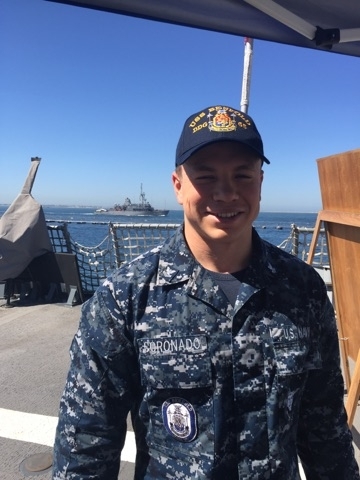 Onboard USS Benfold, there is a program called Benfold University in which Sailors who have a passion and knowledge base for any topic can teach their shipmates about the subject. Since its establishment in early 2013, the program has hosted classes in writing, welding, photography, Spanish, finance, nutrition and Japanese. 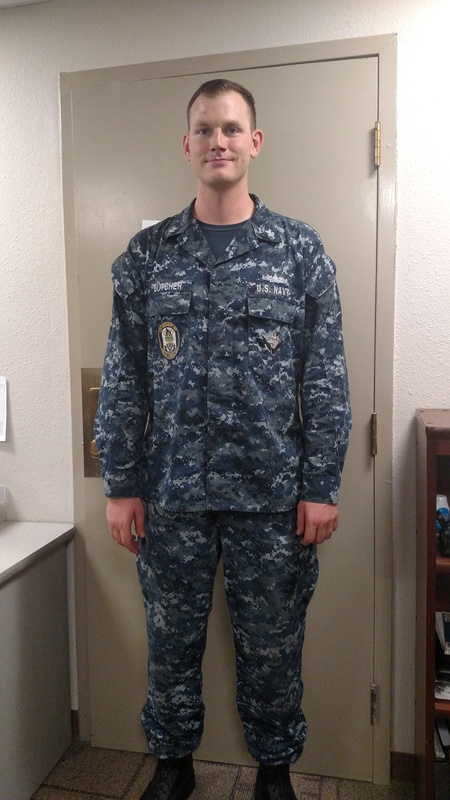 Petty Officer Stevens, the program’s first teacher, proposed using free resources provided by Navy College for the College Level Examination Program (CLEP) to teach Sailors the knowledge necessary to gain college credit for a course. A game-day addition to the presentation list, ENS Corpus proposed taking technology found in noise-cancelling headphones – reciprocal noise generation – and applying that concept to ships’ sonar to act as a defense against active prosecution. ENS Corpus defended his assertion following his presentation as engineers in the crowd questioned the technology. During a break in the action, the concept was a hot topic, bringing several innovators together to discuss the feasibility of the idea. The winners of the ADM Sims Award for Intellectual Courage, this group of Petty Officers dominated the peer voting in every category with their presentation. The group proposed building an integrated database that would combine information from existing sensors to assist in identification of surface contacts. Characteristics from ships such as radar cross-section, electromagnetic emissions and heat signature would be combined with new visual-profiling software to build an electronic profile. That profile could then be compared to a database of surface ships and ranked by probability, resulting in rapid identification of long range surface targets. They also gave many examples on how the system could be developed in future iterations, including integration with seaborne drone systems and crew served weapons mounts. 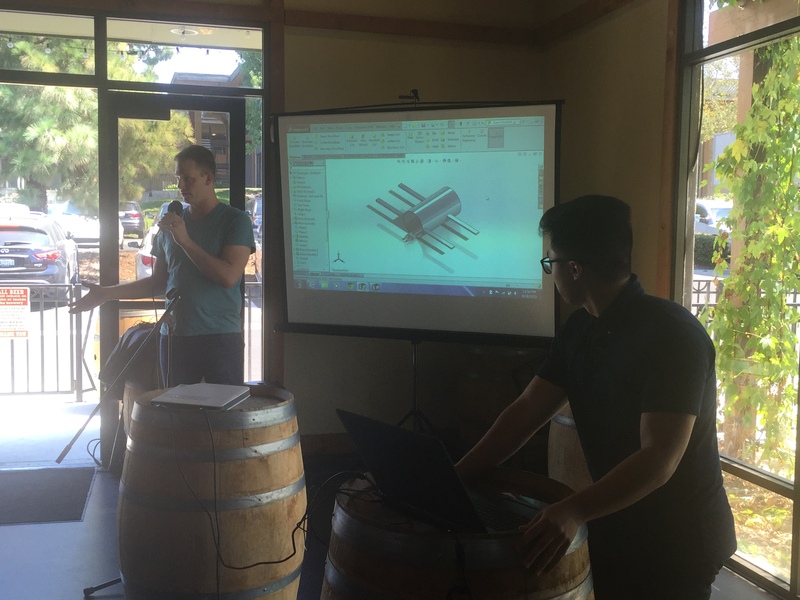 The pitch was well received and engineers from USC immediately pounced on the idea, offering to work with the team to develop a rapid prototype for proof of concept. 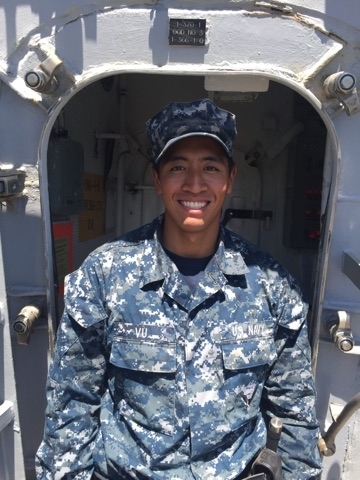 Trying to solve the problem of maintaining paper records for Sailors, LTJG Wang suggested leveraging existing technology, like Neat Scanners and handwriting recognition software, to digitize the contents typically kept in Division Officer notebooks. Documents like counseling sheets, signed evaluations, history forms and the like could be scanned and kept together. Many in the crowd viewed this idea as “low hanging fruit” and claimed it would be simple to implement onboard a ship. 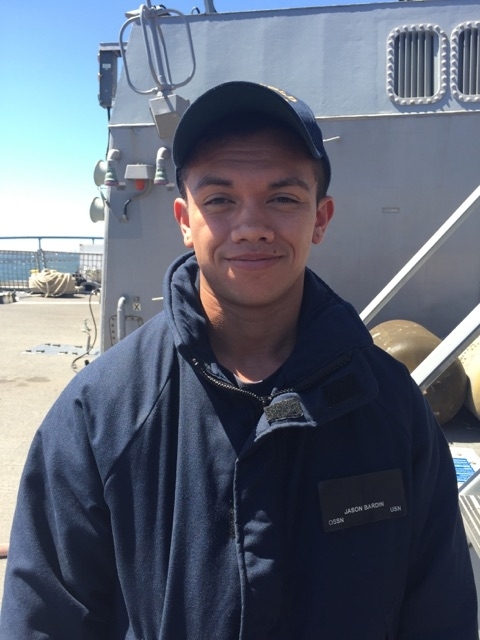 LTJG Wang took the recommendations in stride and aims to institute his plan onboard BENFOLD. LT Hughes, the navigator onboard Benfold, developed a concept for a system that would automate celestial navigation. He proposed that the system, consisting of optical sensors and a database of stars, could provide accurate positional data to the ship’s weapons systems in the event of a GPS outage. LT Hughes tested several mobile applications through his research and claimed that the technology to make this system a reality was well within reach. The crowd agreed, and his project finished in second place overall. This large group finished third in the peer voting for their proposed solution to the problem of command and control for ships’ crew-served weapons mounts. Citing difficulty in communications between the Anti-Terrorism Tactical Watch Officer (ATTWO) on the bridge and the machine guns on the weatherdecks, the team suggested utilizing augmented reality (AR) headsets for gunners and a touch screen tablet for the ATTWO to optimize the process. The team said that the headsets would be simplistic – only displaying commands such as “fire” and “ceasefire” – and would have to be hard-wired because a tactical wireless system would be easily exploitable by potential adversaries. The second of our game-day additions, GSM2 Acido proposed taking technology that’s being developed by researchers at the University of Minnesota to augment the power needs of surface ships. The engineers developed a new alloy that converts heat into energy. GSM2 Acido suggested using that alloy onboard ships – on anything the exhaust stacks for engines to solar-heated panels – to save fuel by allowing ships to have sufficient power without running their generators. 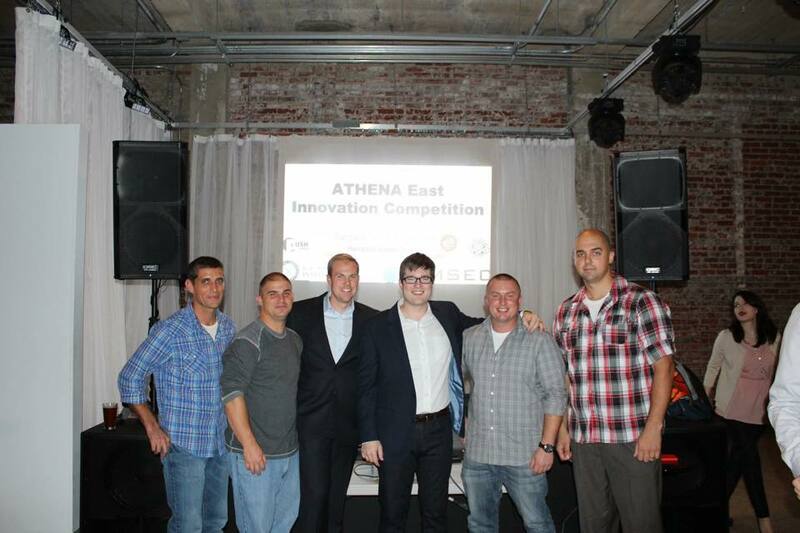 GSM2 Acido formed a small team at the Athena event, including BDOC officers and SPAWAR engineers, to shape his pitch before presenting. Overall, the event brought forth some tremendous ideas from the deckplates and provided some great networking opportunities, but the best part of it all: We had fun. The feedback on all the voting sheets was incredibly positive, and the support from the diverse crowd was amazing. It’s encouraging to know that there are so many people out there who want to make a difference. 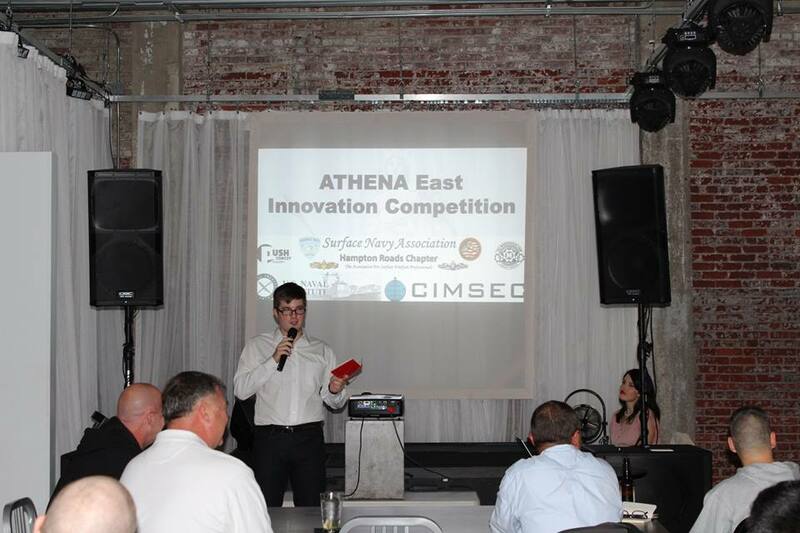 We’re looking into scheduling the next waterfront Athena event for this spring, and hope that the innovation wildfire continues to spread – not only on the West Coast, but throughout the Navy. As The Athena Project continues to grow, so grows the chances that we’ll uncover the next big thing. 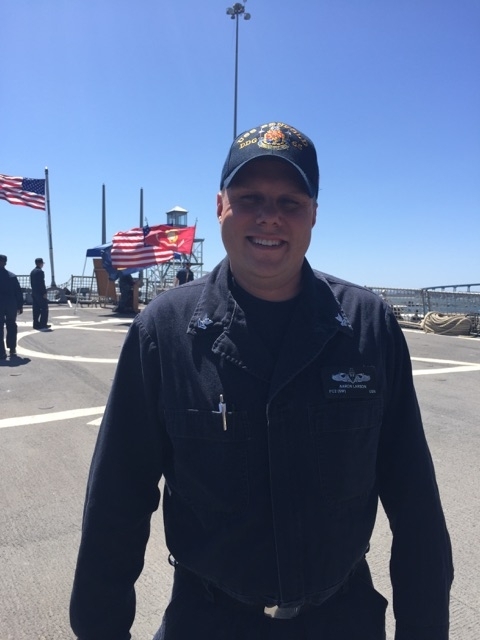 LT Dave Nobles is the weapons officer aboard USS Benfold and a member of the CNO’s Rapid Innovation Cell. The opinions and views expressed in this post are his alone and are presented in his personal capacity. They do not necessarily represent the views of U.S. Department of Defense or the U.S. Navy.